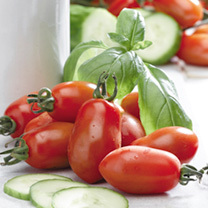 Tomatoes are such a versatile vegetable and can be used in hot dishes, salads and sandwiches. They can be eaten raw, roasted or fried – give them a go! Not sure which variety to choose. 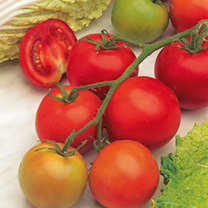 Take a look at our tomato guide. 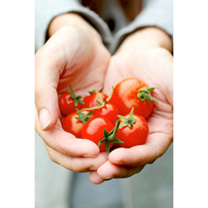 Nothing beats the taste of home grown tomatoes! 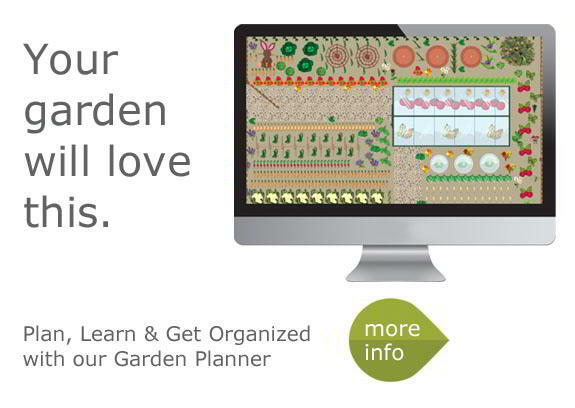 Large or small, pot or patio there is a variety for everyone. 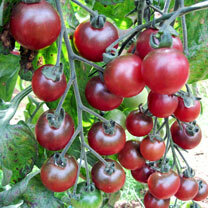 There are hundreds of varieties of Tomato seeds, all producing tomatoes with different tastes and colours. 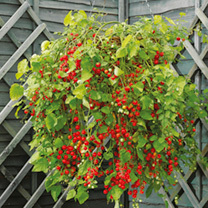 They are a bright addition to any greenhouse border, or can jazz up your veg patch outside. 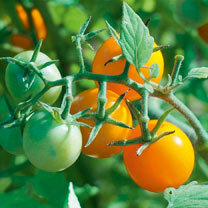 To produce greenhouse crops sow the seeds between February and April – grow in large pots, boarders or growing bags. 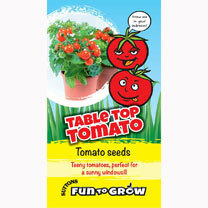 To produce outdoor crops begin by sowing the seeds under glass in April. 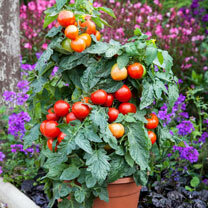 The plants can then be transplanted outdoors to a warm sunny area. 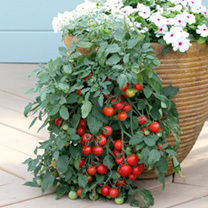 Sometimes tomato plants produce good trusses of flowers but these wither and drop off without setting. This can be due to high or low temperatures, dryness at the roots or in the air. 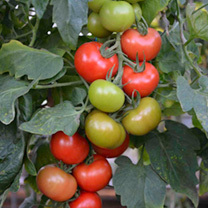 Fruit setting occurs most freely in warm sunshine and in a moist atmosphere, so to aid pollination, spray the plants with water on sunny days around midday and then ventilate the greenhouse. Gently tapping or shaking the stems will encourage the flowers to shed their pollen. 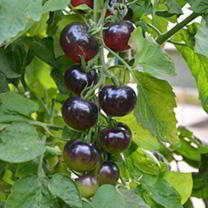 If the plants are a dark, bluish-green and few flowers are being produced then they are probably suffering from an excess of nitrogen and this can be quickly corrected by feeding with a proprietary tomato food. 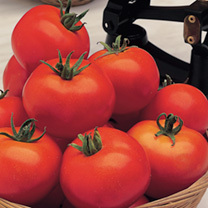 A tomato fruit not fully ripening is due to disorders known as Blotchy Ripening and Green Back. 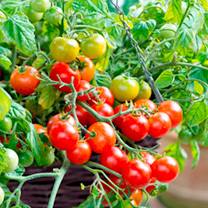 Blotchy Ripening is the development of unevenly ripe fruit which have green or yellow patches. In the case of Green Back the area around the stalk fails to ripen properly or remains green. 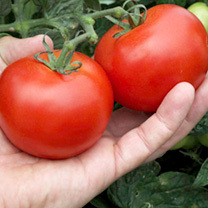 Both disorders can occur if there is a deficiency of potassium and when the greenhouse temperatures become high and the fruit is exposed to strong sunlight. Ventilate the greenhouse as much as possible in hot weather and damp down the pathway to reduce the temperature. Light shading may also need to be applied to the glass. 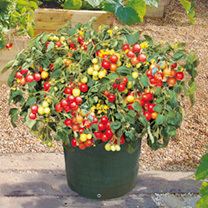 Feed the plants regularly with a liquid tomato feed once the first fruit start to develop. 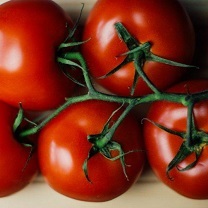 The toughness of tomato skins is dependent on the way the crop has been grown. 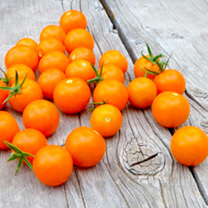 Too much heat or sunlight will result in tough skins so the greenhouse should be adequately ventilated and lightly shaded to prevent the fruit ripening too quickly. 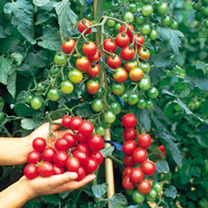 It is also possible to produce fruit with tough skins where the plant is not growing vigorously due to low temperatures or the plants receiving insufficient water and tomato food. 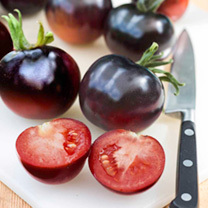 Why have my tomatoes developed a brown area at the base of the fruit? Blossom End Rot is a disorder that causes the development of a blackened leathery dark brown or black patch at the flower end of the fruit. This problem is associated with calcium deficiency and is often induced during periods of water shortage. It is important that the compost or soil does not become dry, even for short periods, and to apply water in sufficient quantities to allow it to soak right down to the full depth to which the roots extend. 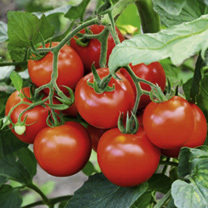 Spraying at fortnightly intervals with calcium nitrate at 3 gms per litre of water (0.5oz per gallon) will help to cure this problem or you could use a proprietary tomato food that has calcium included or the Top Resist Vegetable foliar feed. Why has my tomato plant produced a lot of lateral shoots at the top of the plant? 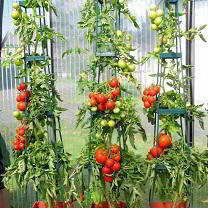 Occasionally the terminal shoot of the tomato plant aborts and is replaced by a number of lateral shoots. This is known as bushy head disorder. The flower truss at this point of injury is normally erect and has many branches. The leaves on the shoots produced can be mottled, malformed and have marginal leaf scorch. This disorder often occurs from April to June in periods of bright sunshine. 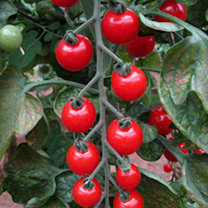 It is associated with high temperatures in the greenhouse resulting in the death of the terminal bud due to high leaf temperatures. 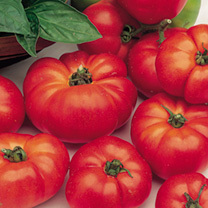 Some varieties may be more susceptible to this disorder than others. Allow one of the terminal shoots to develop as the main leader which will grow on to crop normally. Remove all the other lateral shoots that have developed.